Ensure your doors are looking their best. 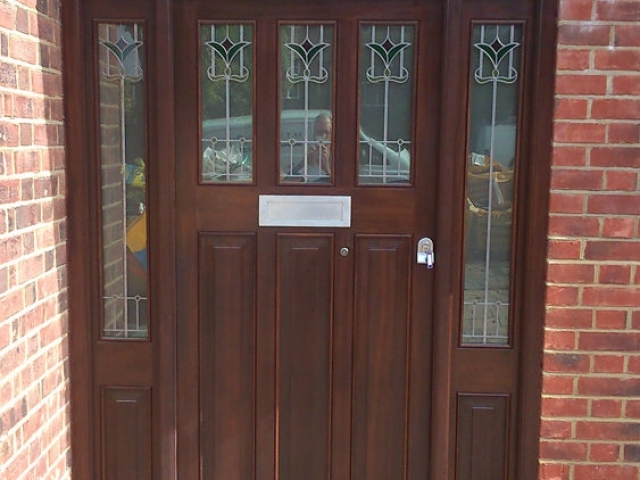 Contact Archway Joinery for quality soft and hardwood doors to keep your property secure in Bedford, Milton Keynes. Enjoy a traditional look with modern fittings. At Archway Joinery we incorporate modern locking systems for high security in hard and softwood doors. For beautiful doors, we put in unique qualities to ensure each door is tailor made to suit your home. 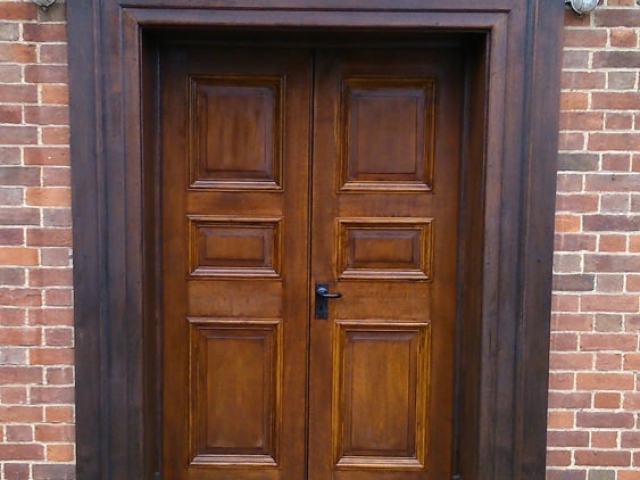 Contact Archway Joinery for beautiful hardwood doors for a unique look throughout your property. 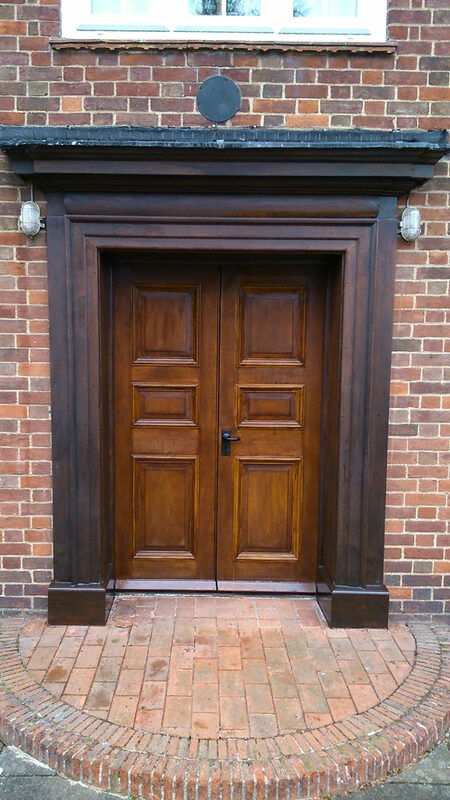 Aesthetics – There is nothing more beautiful than a hardwood door for crafting a bespoke door. 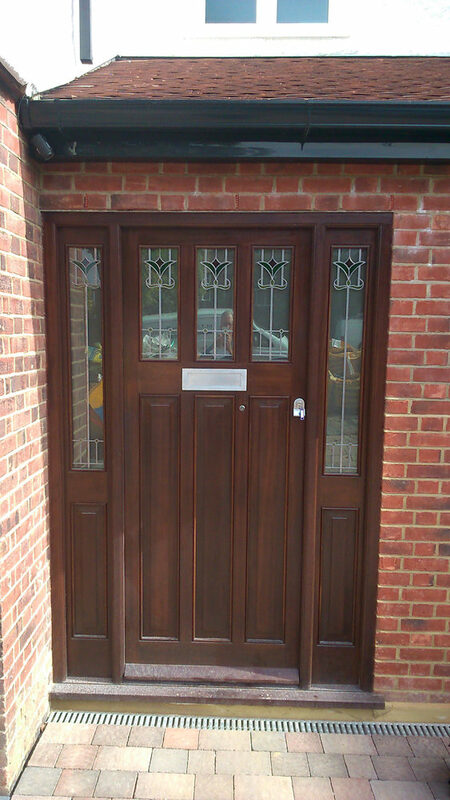 Wooden doors with a clear finish allows the full beauty of the wood to show through. This is a very natural look that helps integrate your home with nature, especially if you have trees in your garden. Insulation – Hardwood is a natural insulator. It helps you save on energy costs when heating or cooling your home or business. Unlike aluminium or other materials that transfer heat ultra-efficiently and are like insulation in reverse, timber helps your home stay cooler in the summer and warmer in the winter. Longevity – Hardwood tends to last a long time. A timber door can be easily repaired, even if it sustains structural damage. When an aluminium door goes bad, it usually needs to be replaced. Timber doors will usually last as long as you build your home. Environment – Hardwood is a sustainable resource. It has a reverse carbon footprint; it stores more carbon and releases oxygen. In addition, timber products have a long shelf life. Since timber is a natural product, it doesn’t take a lot of energy or cause a lot of environmental impact to turn into useable building materials. Why Choose Us For Bespoke Doors in Bedford? For more information on our bespoke hardwood doors or to arrange to have some installed, please don’t hesitate to get in touch with us. One of the Archway Joinery team are always on hand to help and assist. If you’re in need of bespoke door installation in Bedford or any of the surrounding areas of Bedfordshire, then be sure to get in touch with Archway Joinery. No matter what your bespoke window requirements might be, we have all of your needs covered. For professional door installation in Bedford, be sure to get in touch Archway Joinery today. Where Can I Get Advice on What Type of Stain or Paint to Use when Finishing my Door? Every location is different for example weather conditions and exposure of a particular door and every door is different there is a different design, wood species, potential upgrades, it always makes sense to contact one of our team members at Archway Joinery. The wood in which we use are selected for their lasting durability and timeless look, with each providing its own distinctive qualities. We kiln-dry all our wood as part of the full production process, controlling this part of the process ensures that all moisture content is reduced appropriately before use. Wood types offered are our Mahogany, Oak and Ipe. The crafted by the bespoke joiners at Archway are doors are made-to-order, manufactured to your specifications in nearly any design at any size. The cost of our products varies per product type, design, size and finishes. Quotations are required for all projects. Can Archway Joinery Build Custom Doors? Yes, we can build nearly any design in any size. Size restrictions may exist for products with design pressure and impact approvals. Have something in mind? Discuss it with one of our team members today. What are the Benefits of Wooden Doors?